The latest episode runs on More4 tonight at 10pm. If you haven’t seen it, then I strongly recommend a viewing. It is well-written, honest – to the point of sassy at times – and funny. It’s one of those shows that highlights the general failure of our tv companies here to commission home-grown drama that doesn’t look like Eas(pre)tenders, a Chicheley Hall period costume drama or a ‘cops and robbers’ series. ‘Casualty’ is an exception that I will not countenance a bad word against. I should also add that, to be fair, our UK soap operas used to be quite good at including story lines about particular conditions as well as consulting charities and patient groups to ‘get it right.’ Whether they do now is something I really don’t know? Perhaps someone from a charity might like to comment? ‘The Big C’ is about more than cancer in so many ways. 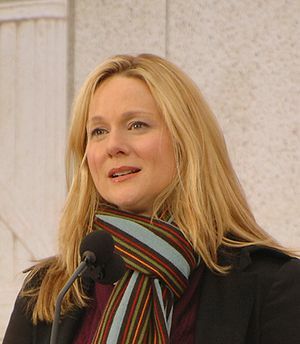 For instance, I read an interview with the star, Laura Linney, in which she said that the show was also about time and how we use it. You might also be interested in this interview with Laura and the exec producers where they discuss the show’s themes and the audience response. Nonetheless, cancer is the main reason that bonds the characters and viewers together. And, in this series, Cathy has been accepted onto a clinical trial. I shall say no more than that. Anyway, as I say, my blog was going to be about how these sorts of shows can be so important in helping bring to the public consciousness issues such as clinical trials. Then I decided against it on the grounds that it might be better to leave it to an academic. Or, rather, I didn’t want to deny an academic a shot at doing a high-impact paper on it because I had ‘stolen the show’ so to speak. Also, unlike the best research which is about seeking answers to questions,in my case it would only have been to construct evidence in support of a pre-supposed conclusion. This being that Americans are perhaps beginning to have a better and more open conversation about clinical trials than we are in the UK. Discuss. Elizabeth Williams, and phone-in about clinical trials with patients that appeared on NPR in the United States just a few days ago. I do miss NPR from my time in the States. For those who haven’t heard of it, it is a bit like our BBC Radio 4. Heresy though it might be to say it, it is also sometimes better. It’s ‘Talk of the Nation’ programme being a case in point. The NPR piece is only seventeen minutes long and, if you have problems downloading media files, you can read a transcript of it by following the link above. Obviously this is the experience from the States but the central message is incredibly positive and universal – as in the quote I’ve used for my headline. But, just to prove I am no propogandist, there’s also a good deal of honesty expressed such as when Elizabeth talks about the difficulties she encountered with one particular clinician. The same sort of honesty that makes ‘The Big C’ work – for me at least. Now, I must give Jeremy Vine on BBC Radio 2 a quick call…….